Picasso. 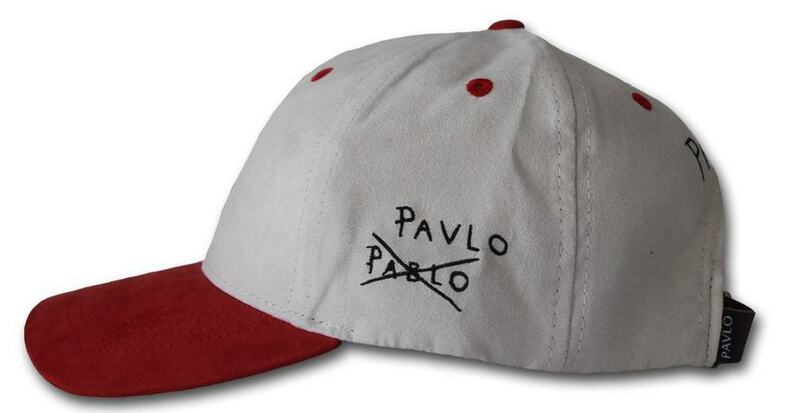 | Made by Pavlo. | | Quiet Lunch. Picasso. | Made by Pavlo. 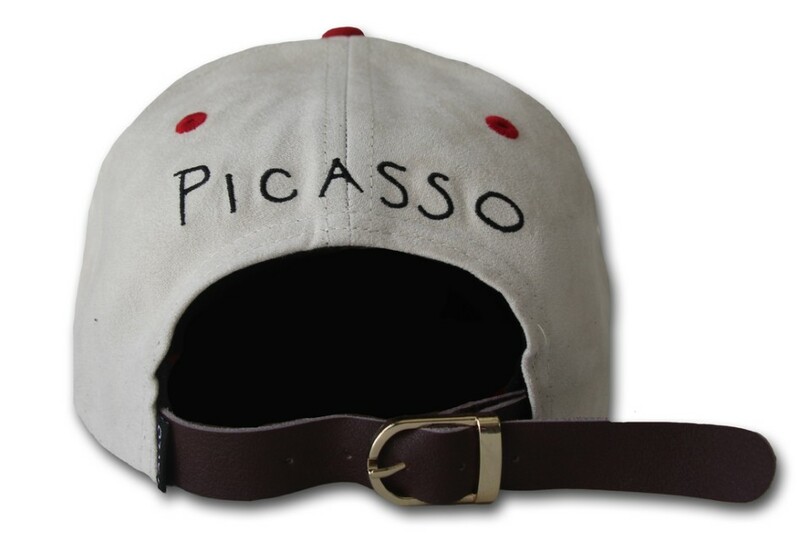 We are insanely in love with this suede Picasso hat by Pavlo. 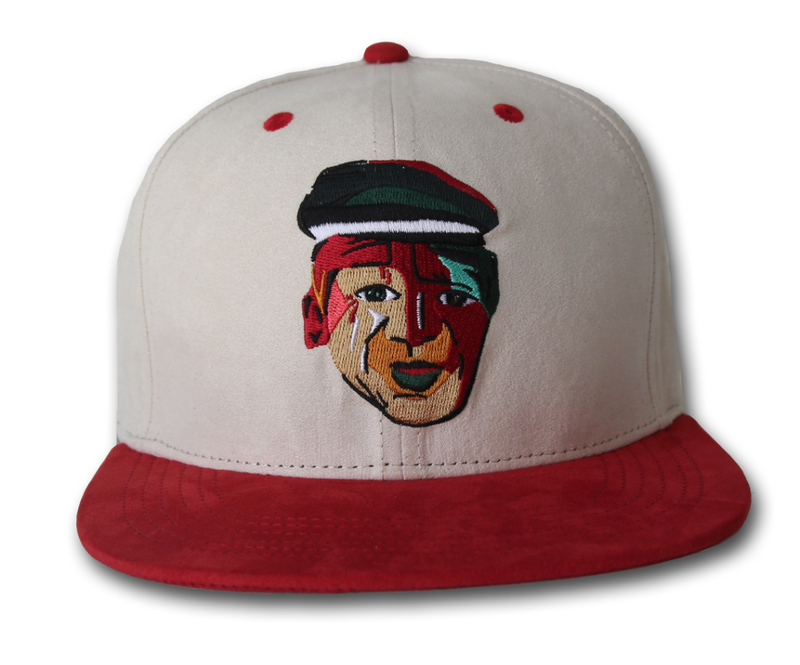 Vanilla on red with a neat cubist portrait of the man himself, you can even order it with a straight or curved brim. 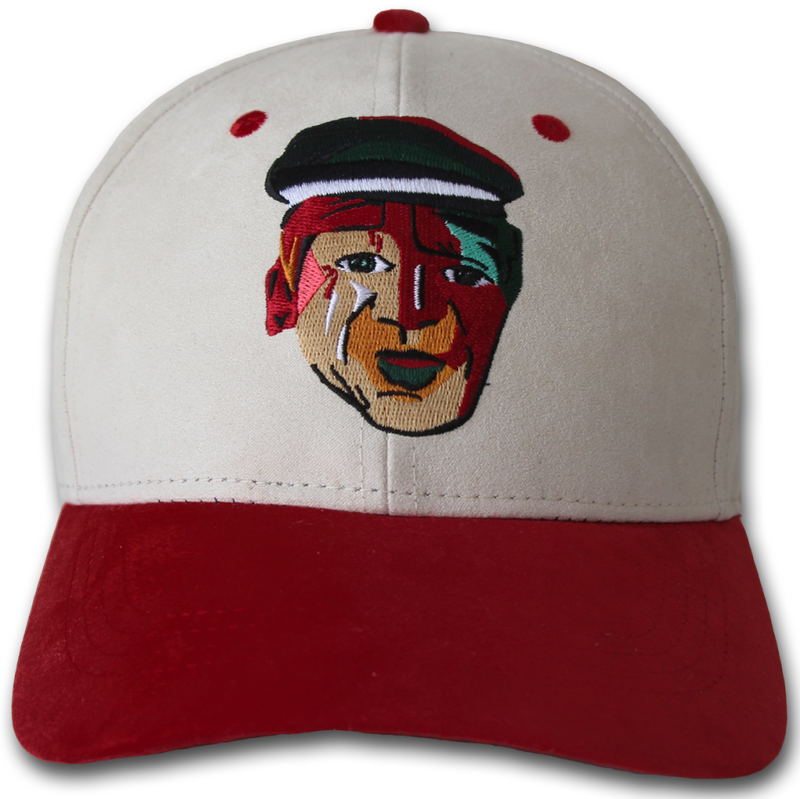 But get this, the hat is limited edition. Meaning, you better get one before there aren’t anymore.